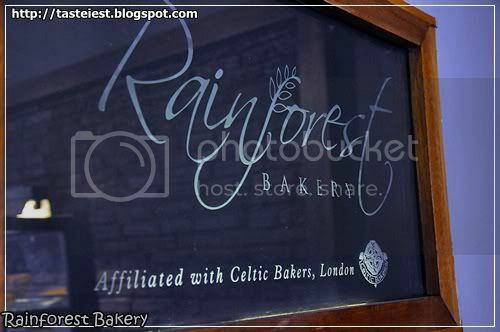 We are glad to be invited for Rainforest Bakery review and we really appreciate it. 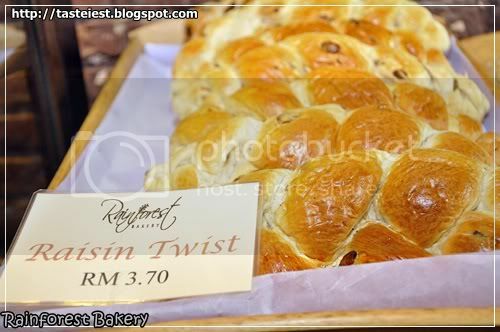 Rainforest is an organic bakery as well as creative shop, why I said that is because most of their bread is something different from what you can get from ordinary bakery shop, Rainforest was operated by a twin brother name Jesse and Jerry who are in love with dough who twist and turn to create new idea from it every day, their product is make daily and given away to as charity for those left over so that you have no worry on their product freshness. 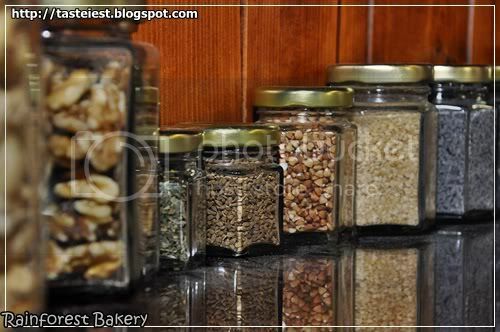 Furthermore they are also one of the key supplier for major hotel and school. 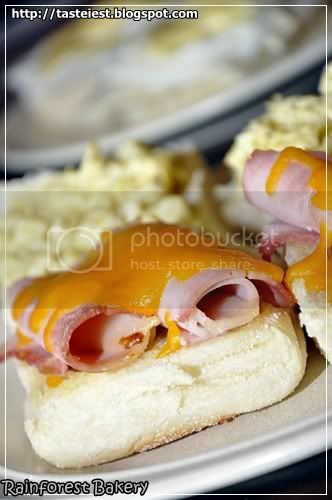 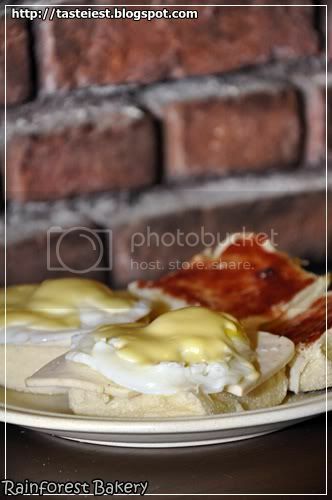 English Muffin was served with various type of ingredients which included of egg, cheese, ham, jam..etc and the most important is definitely the English Muffin which is what Rainforest product, take note that they don’t sell ingredients on top instead this is a demo on how you can consume English Muffin with various way. 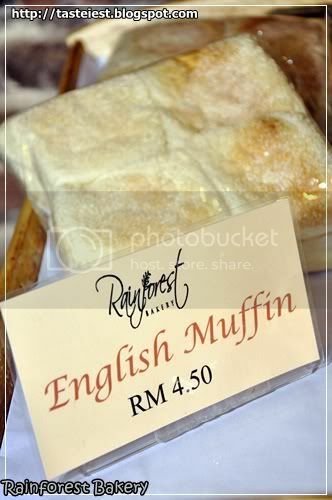 A pack of English Muffin is RM4.50 with 4 pieces in a pack, it was highly recommended to toast it before serving to create a crispiness outer layer while soft inside. 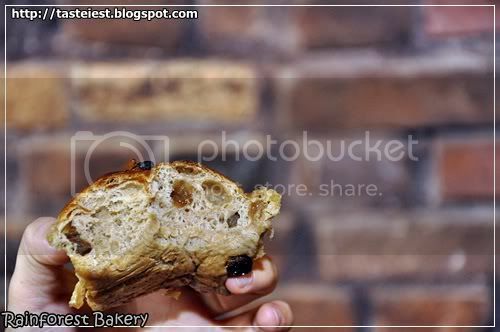 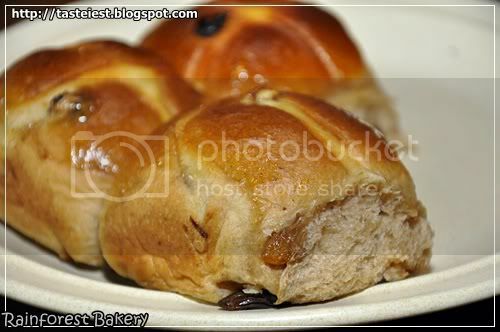 Hot Cross Bun is another special made product which only produce 3 weeks before Easter and not other date throughout the rest of the year, RM1.40 per bun fruited with superior spice that was imported from Germany, it is chemical free and no preservatives. 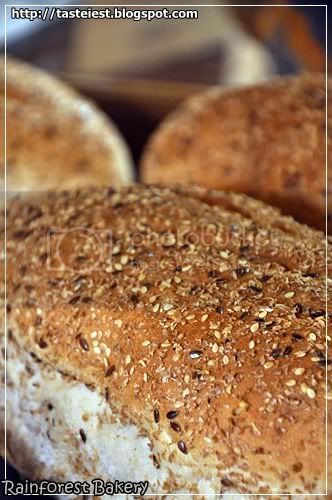 It look to be normal from outlook where I would just call it “raising bun” but when you have your first bite on the fluffy bun then you can tell the different, spice fragrance is flowing out from the bun and the soft bun is so delicious. 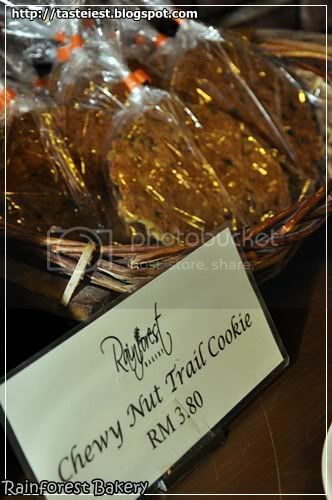 Chewy Nut Trail Cookie RM3.80 per pack. 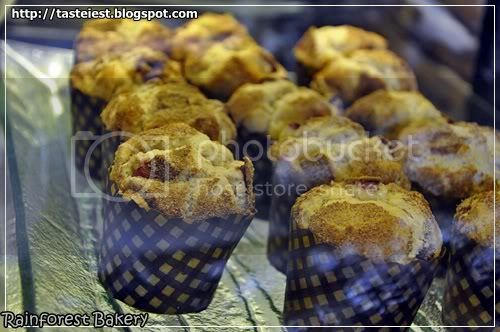 They are specialize in muffin as well. 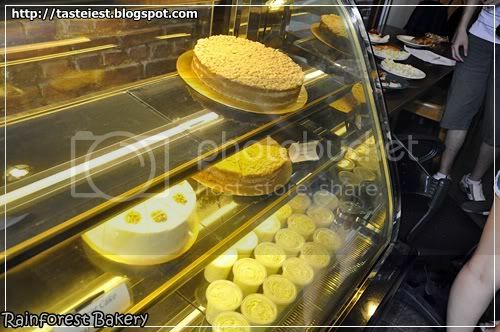 They do have some cake for your selection as well, together with Garlic Butter where you can buy a bottle and create your very own Garlic Bread for your love one. 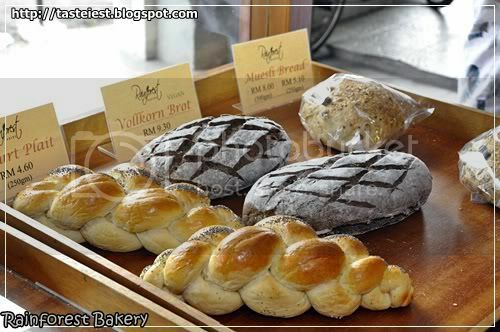 Some other bread that they provide on the shelf, get it while it hot as it gone pretty fast after serve from oven. 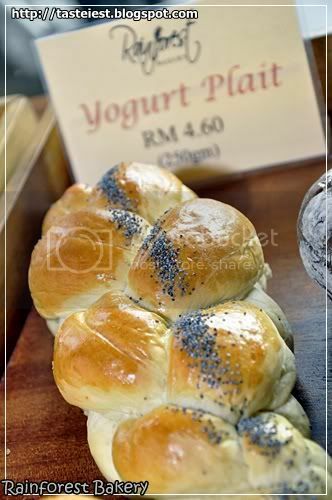 Yogurt Plait, understand from Jesse Yogurt Plait was made purely with yogurt and dough without any single drop of water, whole bread was moisturize with yogurt only which must be very delicious. 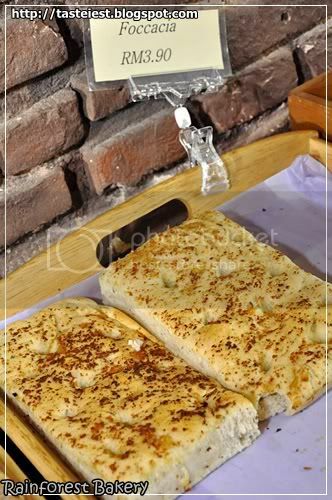 Foccacia is a flat oven-baked Italian bread which top with garlic butter, Foccacia bread are quite similar in style and texture to pizza. 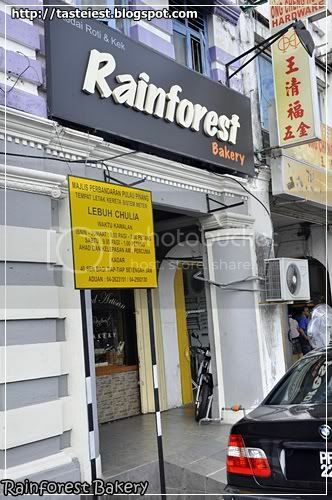 Rainforest located along Jalan Chulia Street, opposite the street where Post Cafe located. 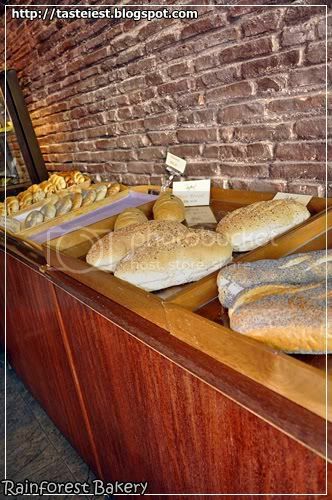 Good News for those who doesn’t like to leave your house, they do provide delivery service to your door step with NO additional charge as well as NO minimum purchase required. 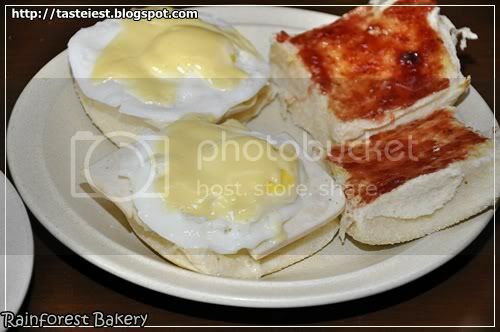 they make something different every now and then, but the english muffin should be available everyday but finish very fast. 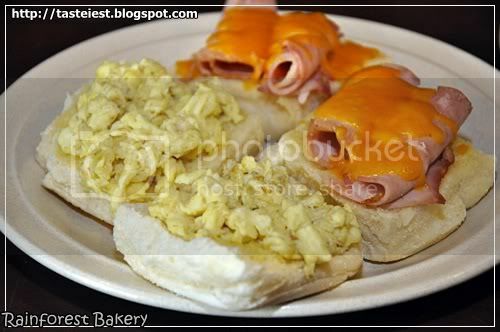 do you selling burger bun & hot dog bun .